Fabulous Find in West Palm Beach! Congratulations on your new listing in West Palm Beach Samantha Curry 561.880.1080. Realtor at Fite Shavell & Associates. 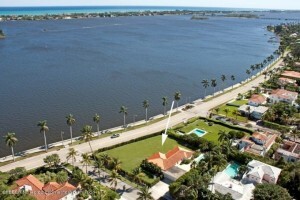 One of El Cid’s largest waterfront lots being offered with a full set of pre-approved construction plans for a 7334 sq. ft. Bermuda style home with Cape Dutch influence. The existing home has been completely renovated and is in move-in condition.